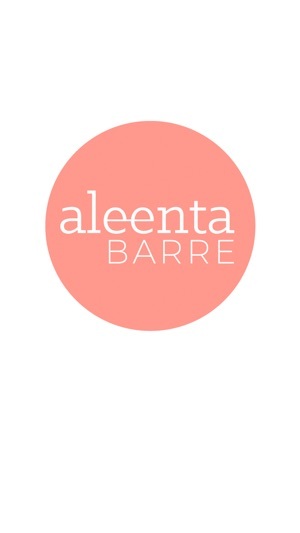 Download the Aleenta Barre App today to plan and schedule your classes. 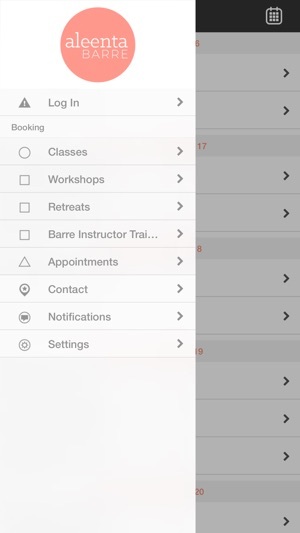 From this mobile phone app you can view class schedules, sign-up for classes, view ongoing promotions, as well as view the studio’s location and contact information. You can also click through to our Facebook and Twitter pages. Optimise your time and maximise the convenience of signing up for classes from your mobile device. Download our App today. Able to book for classes and know you've saved yourself a spot without wasting time to go there and realise it's a full class. Able to save the booked classes into your calendar. All in one app from purchasing to booking classes. Customer care is very quick to respond to queries. Loved all the classes I've attended. 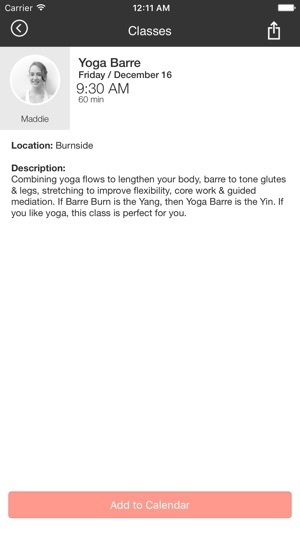 This app is perfect for booking classes and cancelling when needed. Simple, easy to use, and it just works.